Home » AndroidVirus Weird World » AndroidVirus and Sean Show #45 UFO’s, Mirage Men and Cryptozoology! 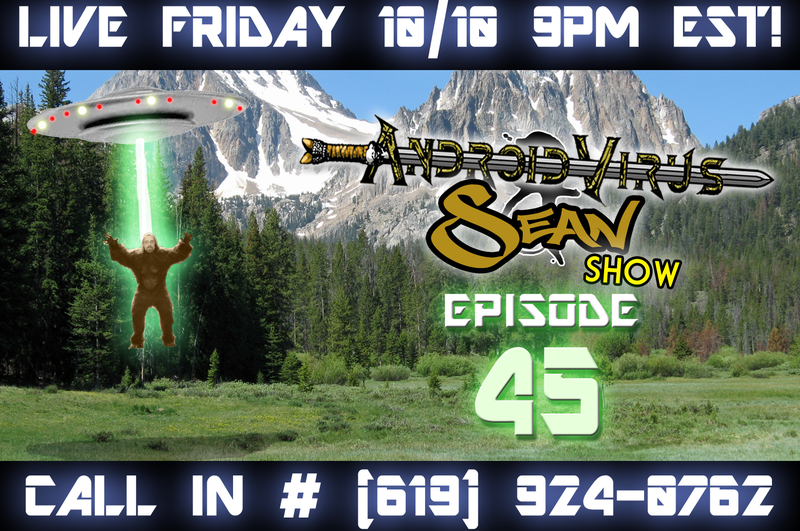 AndroidVirus and Sean Show #45 UFO’s, Mirage Men and Cryptozoology! We discussed the documentary ‘Mirage Men’ which covers the Governments program to send disinformation to UFO researchers in order to discredit them. It is an interesting tale of just how far they went, as well as the side of the people who believed it. We had Mojo, Flesheater, and Joe on to discuss Aliens, UFO’s, Military involvement and the Reptilian forces that apparently rule us all! We also discussed Werewolves, how they lived among us in real life and other shape shifting beings. All this plus the great callers who got through on the LIVE show! Also check out our 31 Days of Halloween Tunes that we have collected, we will be featuring them all month long!